Air Shifter Electric Over Air WITH OUT Igniton Kill But WITH Bottle "Sure Shift Series"
Spencer Cycle air shifter kits are known for quality,dependability and affordability. Spencer Cycle has re released their own line of Sport Bike Air Shifter Kits by including push lock quick release fittings with every kit. The Spencer Cycle Air Shifter kits give you perfect shifts at the push of a button. Our Air Shifter includes all components and instructions necessary for a basic installation and are available in many different combinations to meet every bike owners need. If you need a kit without a bottle or kill box or just want the basic components...then we have it. 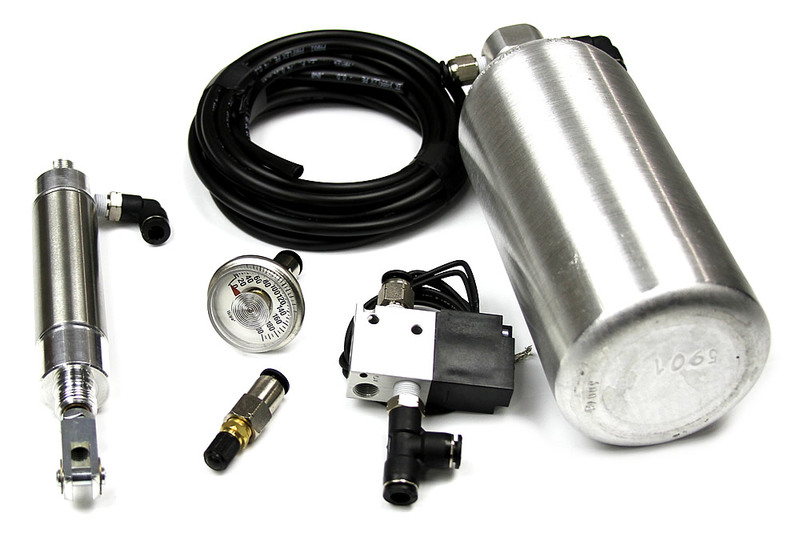 The "SureShift" Series Air Shifter kits includes the MPS Electronic Engine electronic Kill that features easy kill time adjustment from 50ms-100ms with just the turn of a screw. The Electronic Engine Kill has a free repair or replacement life warranty offered by MPS Racing. Our kits may be used on any bike. NOTE: A custom wiring harness is available with a shifter/horn toggle switch are available as an option for certain bikes as well as CNC Billet Aluminum mounting brackets. Click the button below to add the Air Shifter Electric Over Air WITH OUT Igniton Kill But WITH Bottle "Sure Shift Series" to your bike build.